Level 3 comprises five major zones providing a range of learning spaces for different study needs of today's learners. The area is covered by wireless hotspots facilitating users in accessing the Internet with their own handheld devices. 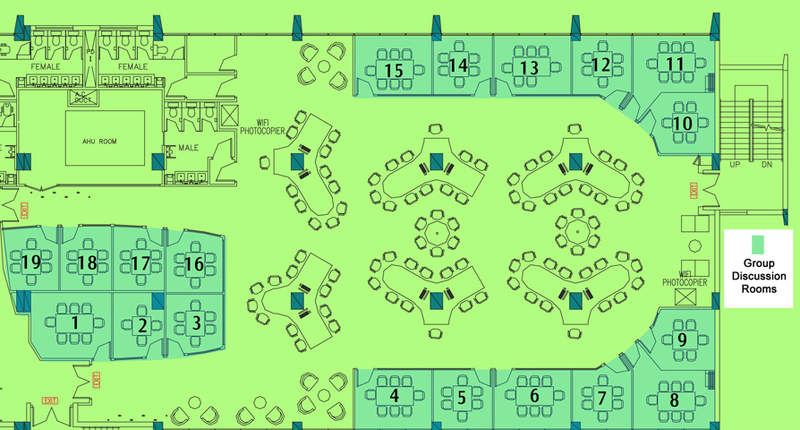 All zones, except for the Study Zone, are designed to foster collaborative work and therefore quiet discussions are to be expected. Noise level, however, has to be kept to a minimum in order not to disturb the other users. 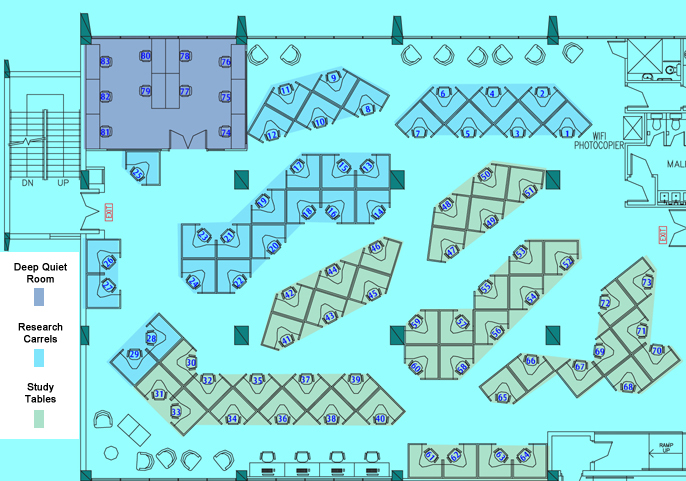 Online reservation of these facilities are available and users should read the Booking Policy. The Technology Zone offers over 100 computers with Internet connection and software applications in support of study and research. Users can search for information amidst the myriad electronic resources available through HKUL and produce assignments or projects with the software provided. The variety of software available includes Microsoft Office, Adobe Design Premium, Endnote, and others. Some computers are equipped with flat bed or high speed scanners as well. A draw will take place to allocate these spaces. Successful applicants will be informed by email. Online confirmation is required before 29th (for 1st half month booking) and 15th (for 2nd half month booking). The research carrel must be activated onsite within the first 3 days of the booking period. Otherwise, the facility will be considered as unclaimed and will be allocated to students on the waiting list in sequential order. There are altogether 44 study tables available for reservation on short loan ranging from 4 to 5 hours. Each table is partitioned providing a private alcove for quiet study. Reservation for these study tables is open to eligible library users. The 7 study tables in the deep quiet room are available for reservation on short loan ranging from 4 to 5 hours. The deep quiet room is strictly for reading and study only and, therefore, does not allow the use of computers or audiovisual equipment. 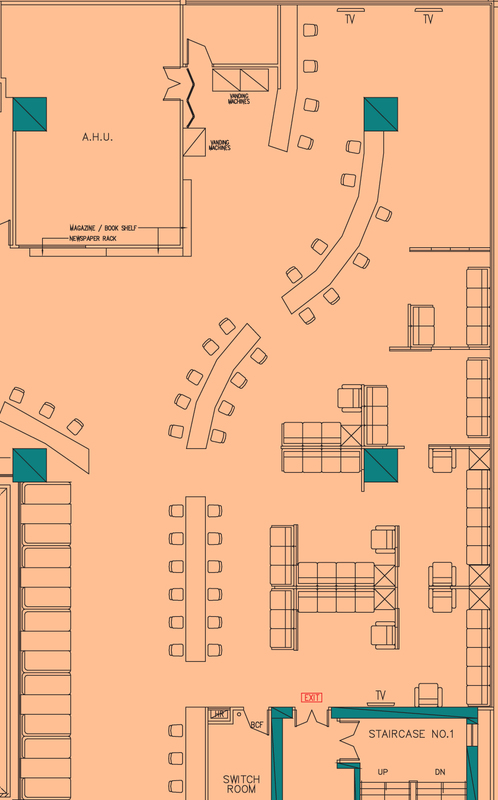 Reservation for the study tables in the deep quiet room is open to eligible library users. The Collaboration Zone provides an environment that fosters group discussion. In the centre of this zone are open clusters for group discussions. Users can gather around these clusters which feature 12 all-in-one computers with touch screen monitors mounted on movable arms. Of significance in this zone are the 19 discussion rooms, each equipped with state-of-the-art technology, such as interactive whiteboards, webcams . Users can reserve these rooms for a maximum of 2 hours per day. Webcams with built-in microphone for web conferencing supporting up to 1080p auto focus video capture. KVM switches for easy switching from notebooks to other equipment for group discussion rooms. Maximum capacity Discussion Room No. This is the place for quiet chatting and relaxation where users can watch TV or read newspapers and magazines. Vending machines are also available for purchase of selected snacks and drinks. This is the only area where food that leaves minimum mess is permitted on Level 3. Do remember to keep the place clean and tidy. 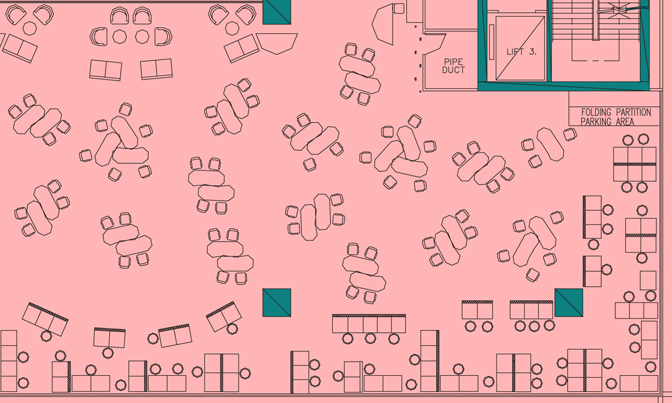 The Multi-purpose Zone is a venue offering flexible space management. Users can choose their preferred spot as the study tables and chairs are on wheels. When there is a library event, such as exhibitions, conferences and book talks, the area can partitioned and transformed to sound-proof rooms. With its state-of-the-art technology, the various pieces of equipment, such as sound and recording, electronic curtains, and projection screen digital podium, can easily be controlled through a central system using an iPad.